I’m a self-taught professional web designer/developer. I’ve been fortunate enough to be one for over a decade. I’ve learned how to design websites just through experience on web design and web development projects, and through books and blogs. The number of learning methods has drastically changed between now and the time I first learned how to build websites. There’s YouTube, digital books for your mobile devices, blogs, and immersive online course platforms like Treehouse and Udemy. But I still believe that one of the best ways to learn web design for those of us who are self-taught is through reading books. If I had to restart the whole journey of educating myself on how to build websites, but with the ability of knowing what I know now, the following books would be what I’d buy for myself today. 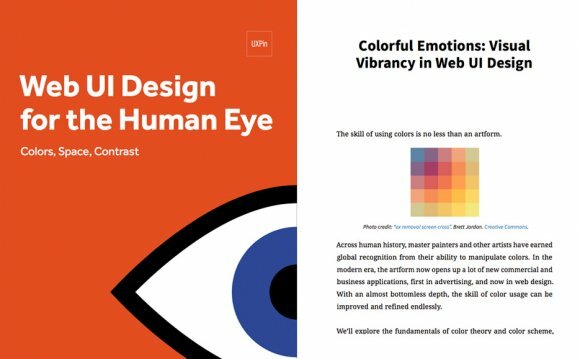 I recommend reading these books sequentially or based on the level of web design proficiency you have now. Whenever I learn something new, I want to see results as fast as I can, and I don’t want to get bogged down by the technical aspects of the subject. When I’ve decided the subject is something I really want to master, that’s when I’ll put in the time to learn it inside-and-out. HTML and CSS: Design and Build Websites allows you to start learning the essential concepts and basic techniques of creating websites. The presentation method of the subject is engaging, with lots of visuals. The writing is not intimidating, which is great, so that you won’t get discouraged to push through and complete your learning experience. That’s precisely why I recommend this book as your first book on web design. After you feel like you’ve gotten a good command of the basics, it’s time to pick up a more technical and complete book so that you can really start to master the concepts. When it comes to comprehensiveness and technical mastery through books, nothing else beats an O’Reilly book. Learning Web Design is a big book, over 600 pages long, but it’s well-written and will give you a good, solid foundation on the subject. It has a ton of exercises, and I urge you to do all of them to get you in the habit of testing and experimenting with code. Though this book is designed for the absolute beginner, I feel like, just like with most other O’Reilly books, it shouldn’t be your first book on the subject especially if you’re not coming from a programming background. Now that you have a solid command of HTML and CSS from the two books above, it’s time to learn professional-level techniques and concepts. You will learn the how’s and the why’s of writing standards-compliant HTML and CSS through this book, Designing with Web Standards, as well as techniques for dealing with common web design issues. This book is ancient — it’s 8 years old, so it may as well have been written in the 14th century, in the context of a continually evolving profession like web design. However, the concepts covered in this book are timeless. While the books I’ve mentioned earlier show you how to build websites, this book will show you how to build it in the most effective way for your website users.